Munnar is one of the most beautiful places in the state of Kerala in South India. Munnar is also well known for its tea plantations. The Tata Tea Museum in Munnar showcases and highlights some of the fine and fascinating aspects of the evolution and growth of tea plantations in this particular part of the state of Kerala. Tata Tea has opened up the Tata Tea Museum at Munnar. The Tata Tea Museum houses many photographs, curious and machinery. The plantations played a huge role in attracting people to the area and have become one of the main activities in Munnar hotels. 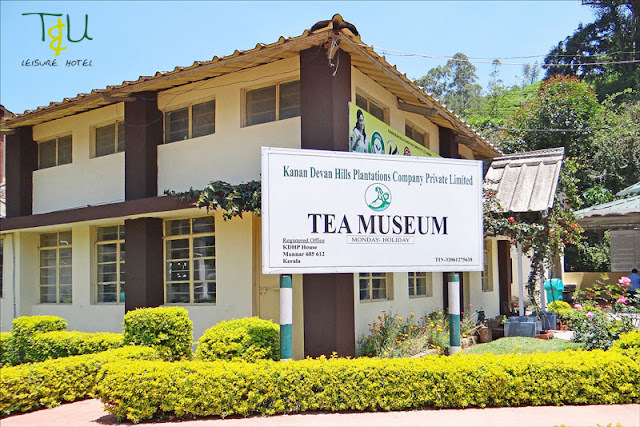 Tea Museum, previously known as Tata Tea Museum, is currently operated by Kanan Devan Hills Plantations Company (P) Ltd, which is a spin-off company from Tata Tea Ltd in 2005. This is one of the most visited attractions in Munnar. Your visit to Munnar hill station will not complete without spending some time in the Tea Museum, exploring the history of the Tea Plantations. The museum set up at the Nallathanni Estate of Tata Tea ensures that the legacy of those who worked hard to ensure the tea plantations survived this long is recognised publicly. The museum depicts the history of tea plantations and processing since the earlier times. Most occupation in the region is based on the tea plantations. It is one of the most renowned in the world for its tea. Also, the Tata Tea Company holds the record for being the World’s second largest tea producer and distributor. We get to watch the transition from the rudimentary tea roller to the modern fully-automated tea factory. Various stages of tea processing can be seen, which includes the making of black tea. One can also see a sundial, placed on a granite block, which was made in 1913 by the Art Industrial School at Nazareth, Tamil Nadu. It has other attractions like the ‘Pelton Wheel’ used in the power generation plant in the 1920s, tea roller and a rail engine wheel of the Kundale Valley Light Railway. Another section of the Munnar Tata Tea Museum in Kerala also houses wooden bathtub, classic bungalow furniture, typewriters, magneto phone, iron oven, manual calculators etc. of the yesteryears. The other attraction of the Tata Tea Museum in Munnar is the demonstration room for tasting the tea. You can find several hotels and resorts in Munnar which offers you the opportunity to visit the Tata Tea Museum. Hurry up!